Finding the right solicitor is one of the most important decisions when buying a new home. A good solicitor will guide you through the house-buying process, saving you valuable time, money and stress. Here are our top ten tips to find the perfect solicitor for conveyancing. Get written quotes from more than one solicitor, but do not automatically go for the lowest quote. It could prove a false economy. Beware of hidden extras in any quotes you are given. Personal recommendations, whether from friends, estate agents or others, are worth far more than paper qualifications. This is provided, of course, that you have faith in the person making the recommendation. Try to get a feel for whether the solicitor is good at dealing with paperwork quickly and efficiently. Probably the most common complaint about solicitors handling property transactions is the sluggishness with which they process documentation. Satisfy yourself that your solicitor will be prepared to answer quick queries by telephone and respond promptly to short emails. The personal touch is always key. Never appoint a solicitor who robotically charges by the hour, with zero flexibility. It is usually a good idea to appoint a solicitor whose offices you can visit personally, if need be, without undue convenience. Some mortgage-lenders are only prepared to deal with solicitors from an approved list which they have drawn up for that purpose. Make sure there are good channels of communication between your mortgage-lender and your solicitor. Beware of ‘one-man bands’ or solicitors who are part of such tiny partnerships that, when they go on holiday, things grind to a halt. You do not want a sale to fall through because the person responsible for processing vital documents is on a beach in Barbados. Use a fully-qualified solicitor, accredited by The Law Society. Visit their website at www.lawsociety.org.uk. When you find the right solicitor, someone who is responsive to your needs and processes the necessary paperwork quickly and efficiently, add them to your contacts or speed dial immediately. For more information on Payne Hicks Beach, visit phb.co.uk. Are you thinking of moving to London? 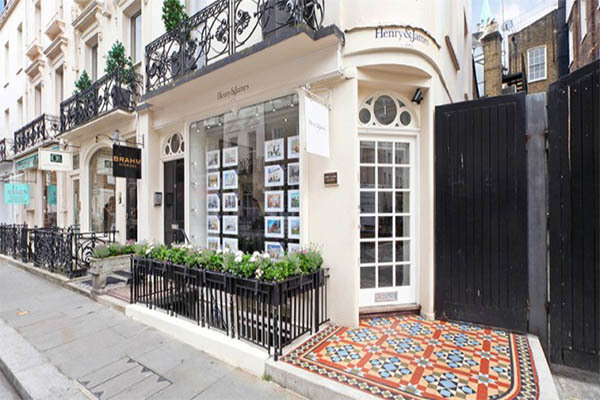 For advice on letting, buying, selling, or moving, contact Henry & James at 1 Motcomb Street, London SW1X 8JX (020 7235 8861; belgraviaoffice@henryandjames.co.uk).